Jesus did not say much when He was crucified but did you know the Bible tells us much of what He was thinking during that time? The amazing part is it was written hundreds of years before Jesus was born. Even more amazing is that it was prophesied by King David, the guy who slew Goliath. 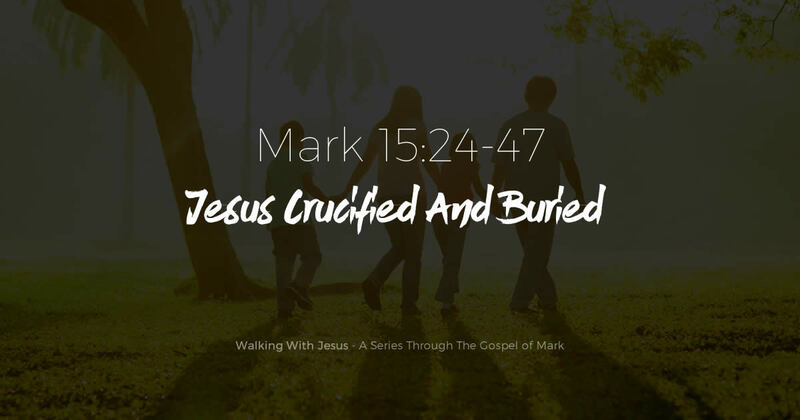 In this study, we will be learning more about the Crucifixion and burial of Jesus Christ as recorded in Mark 15:24-47 & Psalm 22. Join us as we read about one of the darkest and most horrific events in human history, yet find fantastic comfort and joy in what Jesus recorded for us about this moment, in the Old Testament, hundreds of years before His birth, death, and resurrection.